** Updated for 2019 season. Puerto Banus located just 7km from Marbella is still the ultimate party holiday destination in Spain. Banus attracts everyone from stag and hen parties, premiership footballers and celebs throughout the long summer season. So if you want to party with the rich and famous, read on to discover the best places to go for lavish champagne spray parties, beach clubs and a little bit of celeb spotting. In the heart of Puerto Banus overlooking the beach with all of the action taking place around the huge swimming pool, Ocean Club is an impressive sight to be seen. Still a firm favourite among the TOWIE crew and the who's who of the Marbella party scene. Not just a pool party, Ocean Club offers guests a great dining menu in a beautiful setting where French cuisine fused with Mediterranean as well as Asian dishes are on the menu. As you'd expect a great wine, champagne and cocktail list is available too. Ocean Club is open 7 days a week through summer kicking off with their opening party, usually the last weekend of April. OC Saturdays’ where resident DJ’s up the tempo are a must for serious party people. Not forgetting Champagne spray party Sundays throughout the year when a luxury VIP bed can set you back as much as €7950. Yep you read that right, almost €8000 for a bed, for one day!! 2018 bed prices during week days are much cheaper ranging from 110€ for a small round bed for 3, up to €875 for a super VIP square bed for 12 including 3 bottles of ‘Dom Pom'. At the entrance to the port next to the Benabola apartments, you can’t miss Plaza Beach’s prime spot. Recently re-furbished to an impeccable standard Plaza Beach has it all, pools, restaurant and also sunbeds on the beach. Set on the beautiful beach front area overlooking Puerto Banus marina offering guests a choice of beds ranging from a modest 20€ for a single to 500€ for a super bed complete with private Jacuzzi. If you really fancy splashing the cash, opt for one of the drinks packages at 600€ including a Magnum of Belvedere and Moet. Slightly lower key than Ocean Club and cheaper too, if you don’t fancy partying, pop in for a drink or a bite to eat in Plaza Beach’s restaurant instead. One of the original and still the best beach club in our opinion now in its second decade, Nikki Beach has recently undergone a huge renovation project which includes the addition of a fantastic pool. 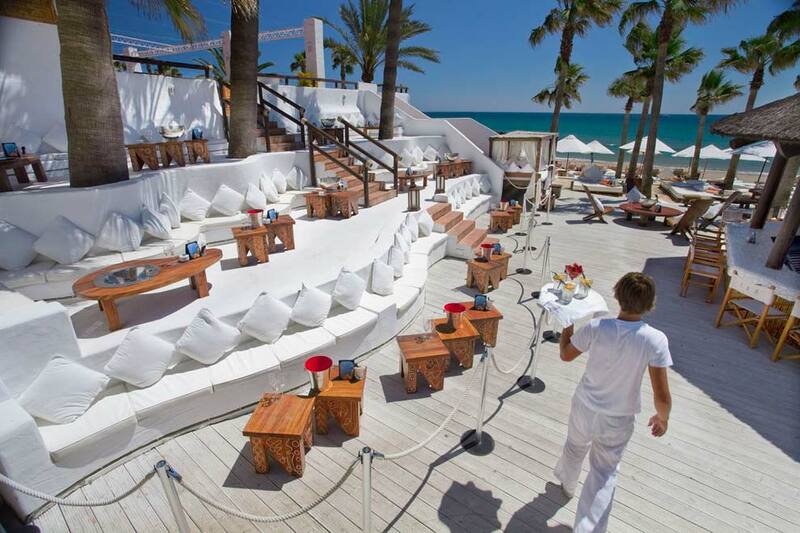 Nikki beach is a world of luxury and glamour, attracting party goers from all over, some arriving by private super yacht. If your budget can only stretch to a one time visit…their ‘amazing Sundays’ are definitely not to be missed, every Sunday throughout the season. A great place to go for lunch or evening meal with families, even children are welcome during the week but this place really comes into its own on weekends. Attracting up to 1000 party goers in the height of summer, some rich and famous, others who have saved up all year to come to this spectacular beach party. Resident and famous guest DJ’s play soulful house music from early afternoon before upping the tempo as night falls, while Nikki’s dancers provide the entertainment. Prices are not for the faint hearted, with a sandwich costing 19€ and the cheapest starter costing 15€ not to mention the drinks prices…but hey it’s a onetime thing (maybe) so push the boat out a bit and enjoy probably the best party you will go to all year! A 5 minute walk from the main entrance to the port and you will arrive at La Sala Beach (formally Buddha Beach). La Sala is a gorgeous beach club with a cool and funky vibe. Slightly smaller and offering a more intimate low key atmosphere than the likes of OC and Nikki Beach but still pulls in a good crowd especially on party days. Just look at the photos of Craig David on the decks last summer to see how packed it was. If you want to spend the day at La Sala by the Sea then reserving a bed is essential, or just pop into one of their 3 bars overlooking the stunning beach for a yummy sun-downer cocktail, all priced at 12.50€. Opt for one of their healthy and delicious fruit smoothies and enjoy the sun setting out at sea. Alternatively on the other side of the port, Astral cocktail bar is a really fun and completely unique bar and cocktails happen to be their specialty. The whole thing is made from a wooden galleon with fantastic high wooden bar stools, that you almost need a ladder to get up onto. Great on a warm summers night supping largest professionally made cocktails which pack more fruit than your local greengrocer! La Sala is one of those places that have got it just right; this place is buzzing every night all year round with both holidaymakers and locals of all ages coming to enjoy a meal or just a drink in the bar. On a warm evening the terrace at La Sala is a great place to get together with friends and the adjoining club Aqwa Mist is a great post dinner hang out attracting some famous faces too. Pan Fried Cajun Swordfish on a bed of Sautéed New Potatoes topped with Guacamole and Crispy Onions…(this was to die for). La Sala offer a high standard of evening entertainment most nights in the week either in the main bar and restaurant or in the piano bar. Located just a few minutes’ walk up from the port below the Nueva Andalucía bullring, or take advantage of their free valet parking and pull up right outside if you have a car, booking recommended. You have to see it to believe it! After a successful summer 2016 and 2017 offering a dining experience with a difference, lets hope they bring back La Sala in the Sky for summer 2018. 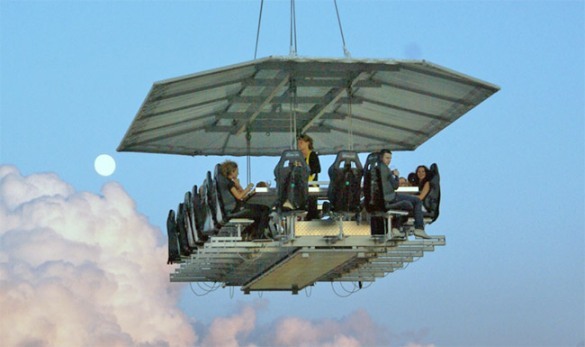 Dine 50 metres up strapped into your seat and suspended from a crane while enjoying THE best panoramic views the coast has to offer. With seats for 22 diners, the platform complete with a chef and team of serving staff offer you the choice of a Cava & Canapes experience priced at €99pp or a 5 course sunset dinner priced at €250pp. So if you are celebrating something this summer, La Sala in the Sky is definitely the way to impress your guests. Situated on the front line overlooking the million pound yachts and sports cars, News Cafe is a glitzy and glam hot spot to have a few drinks before you hit the clubs. On 3 levels, downstairs is a chill out bar great for quiet drinks and conversation, the 1st floor is where it’s all happening offering the best views over the port of Banus on their open air balcony, complete with dance floor and table service. On the 2nd floor is a fantastic new addition to News Cafe, the roof terrace. With an amazing sound system, comfortable seating and table service on warm summer nights make for the perfect drink venue. News Cafe has a great party vibe playing the best in funky house music from their resident DJ’s, call ahead and let the staff arrange a VIP table if you feel like partying in style or are celebrating. 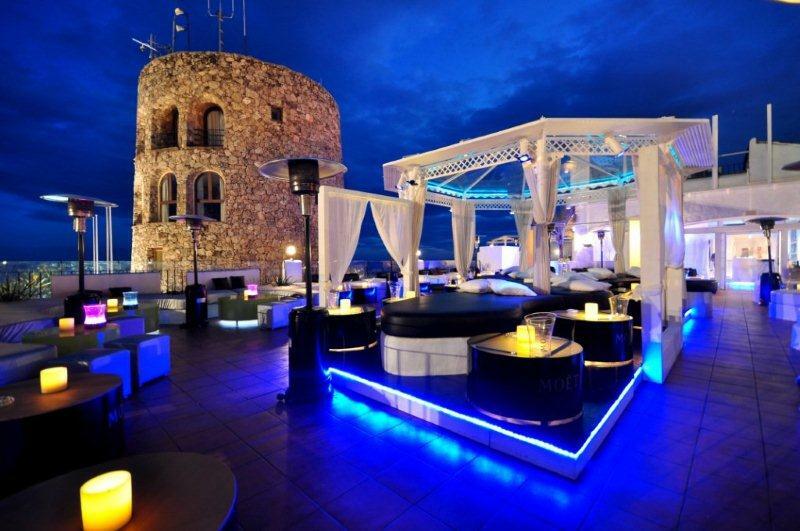 What’s not to like about Pangea, in the heart of Banus with the panoramic views of the port from its simply stunning open air roof terrace with DJ’s spinning some seriously nice tunes to get you in the mood. Inside the club is just as stunning as out, perfect for the slightly chillier evenings early or late summer. The club opens at 10pm but really starts to get busy around 12.30am so make sure you’ve had a siesta before coming out to party at Pangea. If you want to see and be seen then Pangea is the place and if you want VIP tables then you must book ahead in summer months as this place is the most popular club in Banus….not to be missed. If you want to be a stones throw from La Plaza and Puerto Banus front line and just a 5 minute walk from Ocean Club, then Benabola Hotel and Suites is the place to be. They offer rooms for 2 adults or 3 bedroom apartments sleeping 5, perfect for a group to share the cost. Accommodation here is clean, contemporary, spacious and has a fab rooftop bar overlooking the port. Sisu Boutique Hotel has gained a cult following over the years with famous names spinning the decks every summer. The hotel has different party events going on throughout high season and attracts a very cool crowd. The reasonably priced rooms are ultra modern and spacious and can accommodate between 2 and 6 people. New for 2018 Nobu Hotel Marbella is the ultimate in luxury, it's chic rooms, stunning pool area and Nobu restaurant are a sure way to impress that special someone. In the grounds of the fabulous Puente Romano Hotel on a stunning beach front setting, Nobu is THE place to be. I'd love to know what your favorite hang out is in Puerto Banus, let me know in the comments section below! Hi what sort of prices are the drinks in Pangea? Hi Rebecca. Pricey unfortunately!!! Here is a price list for bottles which can sometimes work out cheaper if there is a group of you booking a table, mixers are usually charged separately. You can buy individual drinks of course and if you just pay for entrance on the door it includes two drinks I believe. If you plan to go Thursday to Sunday when they have Sintilate nights, its always best to book ahead especially if you are part of a large group. You can contact them through their website for more info on prices etc. It’s a great venue from midnight on but like any good club in Banus, be prepared to pay high end prices. is anything happening on the 14th October ? Hi, lots of the day time party venues have their closing parties at the end of September and will be closed. But if the weather is good, which it often is during all of October, all of the beach restaurants and bars will be open and will still be fairly busy. Marbella and Puerto Banus restaurants and bars are all open during the day and at night too. La Sala in Banus has a good vibe no matter what time of year you go,always a safe bet for a good night. I will be in Malaga next weekend with 10 friends for my bachelor party. what will you recommend as a club or beach party? as we are 11 guys, it’s probably hard to get into a club. TX. Adam, Really sorry for the ate reply, I have just returned from holiday myself and have only just seen your message. I assume you have been over to Malaga already, I hope you had a great time and found a club or beach party…if there’s anything I can help with in future please get in touch. Hi Sarah. Coral beach i believe is in-between Marbella and Banus?? Correct me if i’m wrong but if so this is the case then you are close enough to experience both Marbella and Banus for nights out, meals etc. As its out of season, most of the major beach and pool parties are still not open but loads of bars and clubs are open. ‘The boardwalk restaurant‘ in Marbella is lovely and would be a nice place to visit on your daughters birthday. They do a nice afternoon tea, fab cocktails and also a cocktail making class, its a really fun thing to do in a group and afterwards you could walk into Marbella port along the paseo for drinks and a late night boogie in Lemmon, one of my favourite bars/clubs in Marbella. If you prefer to be in Banus, there is a company that can arrange cocktail classes, have a look at their details as they may also be able to arrange other things for your party to do while you are here. Having a hen party march 30th to april 2nd 2018 staying in the benabola apartments. Just wondering will nightclubs ect be open, bit disappointed that there no pool and seams a little early for pool parties? Hi Marie. Benabola is a fab location to stay for a hen party. You are literally right on the port and can walk to everything. You are right about it being a bit early for pool parties though and you’re just going to miss out on the start of all the opening parties for the likes of Ocean Club and Plaza beach. Which generally all start opening at the end of April. In the port itself most of the bars and clubs will be open though and as its Easter weekend places will be fairly busy. Also just outsied of the port is La Sala restaurant and attached nightclub Aqwa mist. La Sala would be a great place to arrange a nice dinner, they cater for special occasions and there’s always a great party atmosphere in the bar which goes on until the early hours. Ive never ended up in the club next door as have always had such a great night dancing away in La Sala. During the day loads of the beach bars will be open and some have a really good vibe, just head left out of the port towards Marbella along the paseo and you will come across loads of nice beach bars. I’m sure you’ll have a fantastic time. hi Sue. There are some boat parties at the end of September with this company: https://www.facebook.com/marbellaboatparties/. I have never personally done one with the but they get good reviews and feedback from past customers and I’m sure it will be fun. For clubs try Pangea in the port, fantastic roof top location. I always liked Seven which is on the second line, free entrance and drinks are not as pricey as some other places. Aqwa mist attracts a good crowd almost every night of the week and the adjoining bar/restaurant La Sala is a great place to start the night. Food is really good and quite often we have ended up dancing the night away in La Sala later on rather than heading into Aqwa Mist next door. For pre-club drinks try News Cafe on the front line or Habannas at the opposite end. Plaza beach is one of the cheaper day time options for pool/beach parties. Ocean club do a great Sunday pool party and also check out Nikki beach for their Sunday party but Nikki beach is a good 20 minutes taxi ride away. Happy planning and have a fantastic time. My husband and I are coming to banus on the 29th Sept and was planning on doing the Ocean Beach closing party. Just wondering if you have been and is it a nightmare getting a drink as it says drinks included in the ticket price as it’s just 2 of us I would prefer not to spend 4K on a bed to ensure drinks etc. Can you recommend any hotels close by?? We’re up for a party vibe but luxury rooms?? Thanks for getting in touch. I have been to Ocean Club but I’ll be honest I’ve never been to one of their closing party’s. I have never had a problem getting drinks on other party days though I have to say. How much are they charging for a bed on closing party day? You will get service to your bed all day if you decide to book one and the waiters are usually very good and attentive, it all depends on whether you think its worth it because bed prices are usually more on special party days. If it were me, I personally think €200 PP is enough to spend. Im sure you’ll have a fab time there, its one of the best day clubs you ca go to in Marbella/Banus, it is pricey but they do it well at OC. Regarding places to stay, Ive compiled a list here on your dates for accommodation, for a good party vibe with nice rooms then Sisu is probably your best option and its not badly priced either. Its not beach side so youll have a 10 min or so walk to the beach and Ocean CLub etc but you might not want to leave once you are there as Sisu have loads of parties and things going on over the weekend. Another one on the list is Park Plaza hotel, it cant be beaten on location. Right on the port and beach so you can literally walk within minutes to everything. Only thing is the rooms are a little more dated compared to Sisu but its a great hotel and gets really good reviews. Have a fantastic time, enjoy! I am travelling the last weekend of sept with 3 other girls. We are 40 plus but still like a party. Looking for some chilled and lovely bars as well as local food where we won’t be hanging out with the teenagers. Any tips? Hi Alison. Are you going to any of the closing parties? Ocean Club and Plaza beach are having theirs over that weekend, I’d book beds pretty soon if you haven’t already and are planning to go. So, nice bars and food etc. For a fantastic ‘grown up’ restaurant scene head to the Puento Romano hotel. There are about 8 restaurants within the grounds including Nobu and Michelin chef Dani Garcia. The vibe is just lovely on an evening in the plaza where people are having drinks and dinner. La Suite is fab for drinks and a great party atmosphere later on, its not cheap though but worth it for a great girlie night. La Sala restaurant and bar is always a good safe bet for a good meal, drink and to end up dancing the night away, also La Sala by the sea has a lovely menu, especially nice for a leisurely lunch and cocktail overlooking the beach. To avoid teenage hang outs then stay away from the second line in Banus after dark as this is generally where they will end up, it ca be cheap an cheesey. The front line has some nicer bars and places to grab a drink and bite to eat, Pangea and News Cafe’s roof tops are both good and offer stunning views of the port. Also mentioned, Astral at the other end of the port, a bit gimmicky but always great for an early evening cocktail. Just wondered if you would have any knowledge as to whether the beach clubs would be open for easter weekend if its later in April? Looking way in advance for an April 2019 hen do, but wouldn’t want to plan it if they likely still won’t be open by then. Hi Lauren. It looks like Easter Sunday will be 21st April in 2019. Do you know, I really can’t say for sure if any beach or pool clubs will be open for it. They usually all open the last weekend in April but as Easter weekend is usually busy with tourists, they may schedule their opening parties to be Easter weekend since it’s just one weekend before normal opening. Have you tried contacting them to ask? Where did you want to go specifically? It is quite far ahead for anyone to maybe know yet but as you say, you need to plan these thing. I’ll ask around and if I find out anything i’ll come back to you. Tried ocean beach but they didn’t no yet what their openings will be so unlikely any others will either so might need to leave it to early next year to find out. No problem, Yeah i would probably leave it for now as most won’t know that far in advance. I’ll keep you posted though if i find out anything. We are a small group of girls looking to visit end of June 2018. Just wondering if its better to visit over a weekend or just as good to go through the week ? Hi Laura, thanks for reading the post and your question. If you want to go to clubs and beach/pool parties when they are at their busiest then over a weekend is probably the best time to come. However at the end of June everywhere is busy pretty most of the time and the likes of Sisu have parties during the week, also La Sala by the sea had a Wednesday pool party this summer. Bars in Puerto Banus will be busy all week too but some like Pangea close Monday and Tuesdays generally so try to arrange your trip to be towards the end of the week and into the weekend to be on the safe side. The best daytime parties at Ocean club and Nikki beach etc happen on a Sunday but you will pay more for a bed on party days. They are open all week too and still pull in a decent crowd and the good thing about going midweek is beds and sometimes drinks packages are cheaper. So it all depends on whether you really want to be in the thick of the action or are happy to have a slightly more chilled out but still great time. Hope that helps, happy planning. Would really appreciate any tips. Hi Jenni. Oh lucky, lucky you, I have been trying to arrange a child free weekend at Amare for ages now but it just never seems to happen, so I am jealous…mucho haha! Well Amare is lovely anyway and is a great base for your husbands 50th birthday being adult only and very modern and chic. For something to do to celebrate, have you looked into spending the evening at Puento Romano hotel? It’s a short taxi ride from Amare and is perfect for a special evening. You could start by having a few cocktails in La Plaza, a lovely outdoor square in the hotel, followed by dinner and if you’re still going strong, La Suite nightclub is fab. For dinner I’d choose Nobu or Dani Garcia which are my favourites and are probably best for a special occasion. Have a look at their website for menus, photos etc to get a feel for it, if you do decide to spend the evening here, its best to book and do let them know you are celebrating. If Puento Romano doesn’t float your boat, let me know what sort of things you like and i’ll be happy to suggest alternatives. So I’m not sure whether you are staying in Marbella or Banus, they are about 15 minutes apart in a taxi but either way you can see and do things in both while you’re here. For your Friday lunch, I have the perfect place for you to combine a cocktail making class at the same venue. Check out The Boardwalk restaurant in Marbella. Its a lovely venue, nice decor, good vibe and right on the sea front just a few minutes walk from the port. The food and cocktails are great and the best bit…you can also book a private cocktail making class at the Boardwalk for when you finish lunch. Have a look at their website, they even post their food and drinks menus so you can see if it suits everyone, afternoon tea with champers or a jug of sangria is quite a nice thing to do rather than a standard lunch. For the Friday evening, you can’t beat Marbella port for cocktails and dancing. It would suit your party better than Banus as its smaller and more laid back than Banus but it does get going around midnight. For me the best bar in the port is Lemmon, theres no entrance fee as its a bar. But the music is fab and everyone is up dancing to the live Sax and funky music til the early hours. 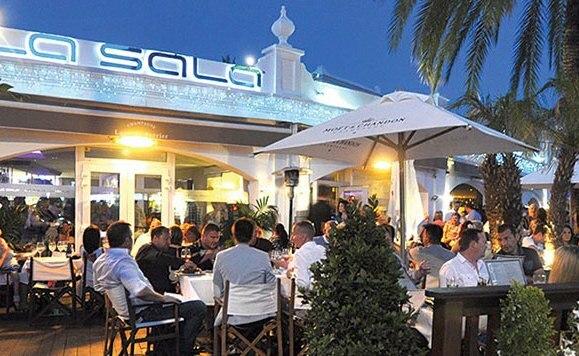 Another good venue perhaps for your Saturday night is La Sala in Puerto Banus, its a short walk from the port and is the sort of place you can spend the whole evening, book a table in the restaurant as the food is really good. There’s live music weekend nights then a DJ and sometimes live sax later on too. Aqwa mist club next door is a good option for those wanting a different club type vibe but whenever I’ve been to La Sala I have ended up staying there til past 3am and i actually prefer it to Aqwamist. Again the music and vibe would suit everyone in your group. You mention the Old Town, id say definitely!!! For a nice end to your weekend it would be a perfect way to just wind down, you can wander round the old town streets, sit in the shade of the orange trees in the main square and re-hydrate with a drink and some lunch. Restaurant Zozoi is one of my faves in the old town…. I really hope some of this helps Beth, please get back to me with any other questions or ideas and ill be happy to help…enjoy planning! HEy ANNa, WHat a beautiful name. Me and 8 friends of mine, all 18 year old guys, are staying in Peurto Banus. We’re worried that the area will be too expensive and dangerous once we get there late June this year. If we pre-drink alot and only eat out a couple of times, how much should we expect to pay per day for clubs, drinks and food. Also, are there any particular cheap places we can go ? Hi Jake. Thanks for the lovely compliment. What a fab holiday you are going to have here in Banus with your friends. But, you are right in thinking that Banus can be dangerous and expensive…It doesn’t have to be though but you have to plan carefully as its easy to blow a weeks budget in one night here. You didn’t say where you were staying, if you have access to a fridge in your accommodation then I would definitely suggest stocking up on booze from the supermarket. Beer and Spanish wine are cheap to buy in the supermarket and you’ll find spirits cheaper generally than at home too, a bottle of Smirnoff is about €10. You’ll find that there are people about having meals etc early-ish but it doesn’t really get going until after midnight in the port so have a drink in your hotel before you come out. Expect to pay between €10 and €15 for a spirit and mixer in front line bars like News cafe but if you head one row back to the less glam second line here you’ll find cheaper options like Linekars bar and Mombasa. They run promotions like 2 for 1 and look out for deals on buying a litre bottle of spirit with mixers for around €50 in second line bars too. During the day, there are plenty day clubs but again they ca be pricey for beds, entrance fees and drinks. Just wander along the front and you’ll see tons of nice ‘chiringuitos’ (beach bars) playing nice music, with decent food and a sunbed for between €6 and €10 each. The popular Picasso restaurant on Banus front line is good and they do a happy hour fro 4.30 until about 6.30 where everything is 30% discounted. There’s also a hard rock cafe and route 66 America style diner are also reasonable. Hope that helps Jake, come back to me if you need anything else or help with where to stay. We are a group of 12 guys (around 30 years old) going to Marbella (week end of April 14th) for a stag party. We would like to have one night in Puerto Banus. I understand that there would not be any day party at this time of the year (openings are end of April). Does it mean that the club are closed event at night ? Do you know some nice clubs to go at this time of the year ? Is it complicated to get in for a group of 12 guys ? We are also looking for a good place to chill / have drinks on the beach at the end of the day, do you nice place for that at this time of the year ? Lots of questions.. thank you ! hi there. Thanks for your message. So I guess from your message you are staying in Marbella as opposed to Puerto Banus, they are about 15 minutes drive from each other. If you need help with accommodation, let me kow and I can recommend some places for you. You are right in thinking that most of the beach or day clubs are not open yet, usually its the last weekend of April. There are still plenty of nice beach bars that offer sun beds, food , cocktails and nice music etc. The best thing too is that they are free entry. Levante beach club near the port in Banus is nice, good food and a nice vibe too, they open from 10am until late so you could spend the day relaxing here having a few drinks and soaking up the sun, or just pop by later for a couple of sun-downers. If you are looking for a nice beach bar in Marbella as opposed to Banus then its worth checking out Mahiki beach which is about 5 to 10 minutes walk from Marbella port. Or in the opposite direction Trocadero playa is one of my faves, both are open in April. For clubs in Banus, i would contact ahead to let them know you are a group of 12 guys, they might offer you drinks promos for example. Pangea in Banus won’t be open when you arrive but La Sala restaurant/bar and adjoining Aqwa mist is always a good option. For Marbella, check out the port, Lemmon is one of my faves and is free entry, more of a bar than a club but it has a club feel about it later on with great dance music and live Saxophone. The chic new Amare hotel which is adults only, not far from Mahiki has dj events on Saturday afternoon from 2pm and they also have a very nice beach bar/restaurant. Check out their web page for events during your stay. Hey, just a quick message to let you know Mahiki beach are opening 21st March for the season. Its worth checking out as its good for cocktails, music, nice beach beds etc and is not far from the port. I am arranging a hen do for my friend and we will be staying in Marbella over the first bank holiday weekend in May (4th – 7th May). I have organised quite a bit of stuff already we will be going to Ocean Beach Club on the Saturday. I am looking for advice on a club that plays really good funky house/house music for Sunday evening based on what I have found it looks Tibu would be the best for this, is that right? any advice would be greatly appreciated. Hey Helen. The best thing to do would be to contact the clubs in Banus by e-mail asking the what events or music style will be on the night you are wanting to go. Most clubs have their events diaries sorted by now and will be able to give you a better idea. For example Pangea have Sintillate nights over weekends but that might mean its R&B as opposed to house. Im with you on the style of music I like though and there’s nothing worse than paying a lot to get into a club or pre-buying a drinks/table package to be disappointed with the music. Consider contacting Pangea, Aqwa mist, Tibu and La Suite (short taxi ride) as these are the main clubs in Banus. Also a good place for a great night with food and dancing is Mosh Fun kitchen. thanks for the advice that really helpful. Hi i am just wondering what day is best to go to ocean beach either on a friday, saturday or sunday. Me and my friend want to go to ocean beach on a day which is lively and there is good music. Therefore was wondering what type of music/events is on the friday saturday and sunday. hi there Jemina. I prefer Ocean Club on Saturdays personally, its pretty much always fully booked throughout high season so get in early to book your bed. There’s a great party vibe with funky house music and dancers throughout the day and is by far the best place to be on a Saturday afternoon if you want to party. From May to August they have a champagne spray party on the last Sunday of every month, its more expensive as even a general entrance ticket without a bed costs about €120 as all entrances include a bottle of champagne. Bear in mind if you don’t book a bed, there’s not really anywhere for you to sunbathe, you’d have to hang out at the bar. We’re talking serious money here for beds on Champagne party days btw and i don’t think its worth it personally. Stick with a Saturday and you can’t go wrong, you’ll have a fab time. Events and price lists are all here so you can decide for yourself. 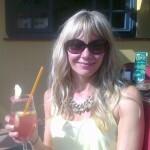 Hi Anna great site we are a party of 18 ladies heading to PB in early July for a long weekend. We are being kicked out of our villa by 12 but don’t fly back till the evening. By this time we will be tired and broke😜 any suggestions for the last day of sun pool bar ???? hi Deborah. Not really sure what t suggest as I can’t think of any pool or beach club that has showers or changing facilities. Other than the beach showers dotted along the coast, not ideal for freshening up before a flight home. If you can tear yourselves away from the beach/sun on your last day then La Canada indoor shopping mall which is just 10 mins away would be a good option for your last day, air conditioned, cinema, bowling and some nice cafes to grab a bite to eat before you leave. Contact them to see if hey have any luggage storage facilities. Hi Steph, thanks for the comment. Im not sure i can add much more than the post you read already suggests. All of the beach/pool parties start off fairly relaxed then come early evening i guarantee you will be up dancing as the music livens up. You’d have to check with each indivdual club what their music policy is on the day you want to go but generally Sundays are more house mucic, certaily Ocean club and nikki beach anyway when I’ve been. Plaza beach is probably one of the cheapest for beds also try La Sala by the sea. The Amare is lovely, i was just there last weekend, gorgeous hotel and there’e a dj on Saturday afternoons which played a mix, some good some not so good. The rooftop bar on Friday and Sat nights at Amare is nice though, lovely female vocalist singing live covers of house songs. Mahiki beach is literally 100 metres fro the Amare and they have different events through the summer to, check out their website. They only opened at the end of last year but so i haven’t spent much time there but it would be a good option for your Saturday perhaps. I am travelling to Banus for a few days (midweek) in July with my partner, staying at the H10. I was wondering if you could recommend nice relaxing / good vibe beach bars we could go and if I would need to pre book? Also I was looking at La Sala by Night is this more of a chilled atmosphere of an evening? Any other places you think it’s worth a visit for a good atmosphere let me know! hi Phil. Thanks for your question. H10 is a great hotel, close enough to get to everything on foot but without being on top of things should you burn out and need an early-ish night haha. As you are coming mid week there would be less urgency to book beds at a beach club/bar, however if you decide to go to any of the major ones, its still worth booking as you might get there to find only the super pricey beds are left. When you say La Sala by night, do you mean La Sala by the Sea or La Sala restaurant with Aqwa mist cub adjoining? Both are open and would be nice for an evening, La Sala by the sea have Wednesday and Thursday events on, dj’s, live music etc. The restaurant is open day and also night times in July and IMO would offer a nice vibe for dinner and by day a good option for beach/pool bar and sunbathing. La Sala restaurant is nice on an evening and always busy so definitely book, they have live music every nigh which varies so contact them in advance to see if its to your taste, always a good night though and Aqwamist club is next door if you’re still going strong into the early hours. Otherwise there are tons of relaxed beach bars pretty much every 50 metres or so along the beach, you don’t have to book beds at any of these, just pic one you like and grab a couple of beds. They all do food, cocktails etc and are a lot cheaper than going to a beach/pool party. We are a hen party travelling 28th-30th Sept. I was thinking pool party Saturday and then other days free for suggestions. We are typically rnb or reggae fans if possible. Trying to keep the price down so as many can come as possible… Can you help? I was also thinking of air bnb for accommodation- recommendations on where is best to stay to reduce travel but still have our own space? There’s actually loads of apartments available at reasonable prices and many places sleep 6 in Banus. I found this apartment which is only 500 euros for 2 nights 28th to 30th September and that’s between 6 of you, right on the port!! Bargain if you as me. Also the Park plaza suites always come up great value, right by Plaza beach and all the bars ad restaurants on the port too, again there are apts which sleep 4 and 6 at park plaza and are fab. This one is available and at just over 600 euros for your 2 nights is great value. Book quickly though as these will go! Just a little advice please. I am coming with 5 mates on Monday 25/6 until Thursday 28/6. I have booked a private Yacht trip on the 26/th. I am thinking on the Wednesday maybe booking a bed at a beach/pool bar. I notice Nikki is a lot cheaper through the week. Where would be best on the Wednesday in your opnion? We are group of 5 – aged 31 to 65. Any recommendations would be great, even restaurants. hi Graham. Thanks for the message. Most of the beach/pool clubs tend to be cheaper during the week especially if they haven’t got an event on although end of June is classed as high season so this will reflect in the price you pay. Wednesdays are definitely cheaper at Nikki beach though than weekends, i believe the cheapest is about €150 for a bed for 3 people midweek this year. If you want somewhere with something going on then La Sala by the Sea have ‘Day Vibes’ every Wednesday. The bed prices at La Sala on a Wednesday (starting at €40 for a single and €160 for max 5 persons) are still cheaper than Nikki’s and there might be a bit more of a buzz there. The restaurant is nice at La Sala by the sea too for dinner after a day in the sun, it serves Asian style food. Otherwise try Picasso’s on the port for good pizza/pasta. Mosh fun kitchen is good for groups, El Torero is good for tapas and casual eats, right by the ocean too behind the Benabola apartments. Hope that helps Graham…happy planning! HI Anna, I am planning an incentive for work for 17 people on 29th June to 1st July. We’re a mixed group from 20 – 50 in age! Everyone likes to have fun and party but need option for people to dip in and out. I was thinking of staying at the Don Carlos hotel as caters for groups. Any suggestions of where to go on the Friday night that’s nearby for dinner/drinks/dancing? Saturday we’ll prob go into Puerto Banus for a more cheesy night. Also wanted to arrange a boat trip for the Saturday, do you have any suggestions of which companies to use? Hi Sarah. The Don Carlos is a lovely hotel and its right by Nikki Bach as you probably know so that would be a great option for a daytime pool partying. Also the perfect place for dinner/drinks and dancing. As the hotel is in Elviria which is about 15 minutes from Marbella and a little bit further from Banus, i’d say unless you want to taxi or minibus then Nikki’s is one of the best in that area for a party night. Just be aware it’s not cheap at Nikki beach. However my personal favourite for a great day sunbathing, or lunch or dinner is The Beach House, its gorgeous!! Not as pricey as Nikki’s, more relaxed and lots if fun. Friday nights and Sunday lunches are the best, I guarantee everyone will be up dancing…its a must if you stay at Don Carlos. Other options you can walk to but more for dinner and drinks rather than dancing are The Playwright, lovely food and often live music, always busy so offers a great buzz too. Some nights there is dancing at the bar and it would be a good option for all ages. For drinks pre Playwright go to Roka bar, its just a minute walk away. Also try San Martino for dinner and for a good curry Masala Indian is good, all walking distance from Don Carlos. Getting from Malaga airport to Marbella is always a nightmare for me with my 3 kids, all under 5! I seem to have been with a different taxi service each time from Marbella back to the airport, is there an official taxi company that you recommend or should I say a reliable one that would ‘go the extra mile’ with patience and that understands the assistance I will need with my kids please? hi Kelly. I understand where you’re coming from having a child myself. I’ll be honest though I haven’t ever taken a private hire taxi as we always leave our car at the airport. I do however use an excellent mini bus company which do a meet and greet service at the airport, carry your bags etc. They use English drivers to and you can get a quote on their website. I just did it for you actually and based it on 4 passengers as wasn’t sure it it would be just you and the kids. It came back at €136 for a return journey from airport to Marbella. Im guessing you would pay at least €60 one way in a standard taxi??? 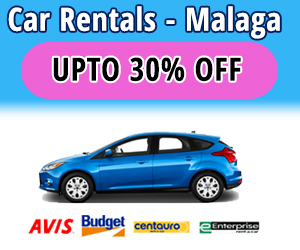 The company is Malaga Minibus, they are very reliable. Good luck, hope you get something sorted. Hi Kelly, I know what you mean about having a driver with patience, it can make a big difference. Just to give you a choice I will add another one to Anna’s helpful reply. I have used https://www.malagaairporttaxi.net/ & were more than happy on our family trip to Marbella from Malaga airport. Malaga Aiport Taxi also allow you to bring your own child booster seat (should you need any) or it’s just 5€ to book one in advance. All the best on your holiday. Same for Sisu I also recommend booking or at least contacting them to ask. There are couple of water parks, i have been to two, the one in Mijas and the Torremolinos one. Out of the two the Torremolinos one is definitely better and bigger, its a bit further to travel but worth it i’d say. Do you know if Plaza Beach or any of the beach clubs are disabled friendly? We’re a small group of girls looking to book at one but would need access for a member who has limited access. hi there Gill. That’s a interesting question actually and one I felt I couldn’t answer, although I have bee to these venues disability access is not something i have ever taken any notice of. I assume you need wheelchair or mobility scooter access? So I decided to call a few of them, first up Plaza Beach…they don’t have a phone number so I have sent the a message through their facebook page, I’ll let you know the outcome if they reply. Ocean Club – Very helpful lady but she wanted to know how many of you were coming to advise on the most suitable bed, as i wasn’t sure she could only advise that the VIP beds would be no good for wheelchair as they are on a deck. She said the club in general is accessible and if you call her back with more info she will be happy to advise and arrange a booking. La Sala by the Sea – Really helpful girl, she said the single pool side beds would be best option however the beds are quite close together at La Sala as they are quite small ad it does get packed. Some doubles are on a deck so they are no good. She said there is a ramp getting into La Sala by the sea but there are a few steps down to the toilet so this may be a problem. La Sala group also own Mahiki beach in Marbella, there are too any steps down to the beach from the paseo so this is not accessible. La Sala Banus she said is good, ramp into the restaurant and toilets all on one level so this would be a good option for lunch or dinner. Thinking about coming to Marbella (Puerto Banus) July 22 to July 25. Sunday to Wednesday. Do you recommend those days or would it be better to go there on a Friday in order to have the full weekend. Pretty much I want to know if there are more events/day partie/better night life going on during the weekend compared to weekdays for the days I mentioned. Or it doesn’t really matter that time of year. Hiya Mike. Peak summer in Marbella/Banus is pretty busy everywhere and if you were to go out on the port on a night in Banus in July mid week it wouldn’t be that much quieter than a Friday or Saturday. Beach and pool cubs however have their biggest events from Thursday to Sunday. They are all open every day but it will be a quieter affair than if you were to go to one of their big weekend parties. For a safe bet if you want to party then I’d try to be there Thursday to Monday as Sundays are pretty big, the last Sunday in July Ocean club have one of their famous spray parties i think. Sisu hotel have a pool party event on a Tuesday every week and Nikki beach have a 15 year anniversary party 26th July. I would recommend all the places that i have written about in detail in the post you commented on. If you are wanting to do anything different or have anything in mind that you’d like to do then maybe you could be more specific and ill help you further otherwise as far as bars, beach clubs and clubs are concerned, its pretty much all there in the post. I’ll be putting together a resource guide soon collating every answer i have given if you want to check back in a few weeks. 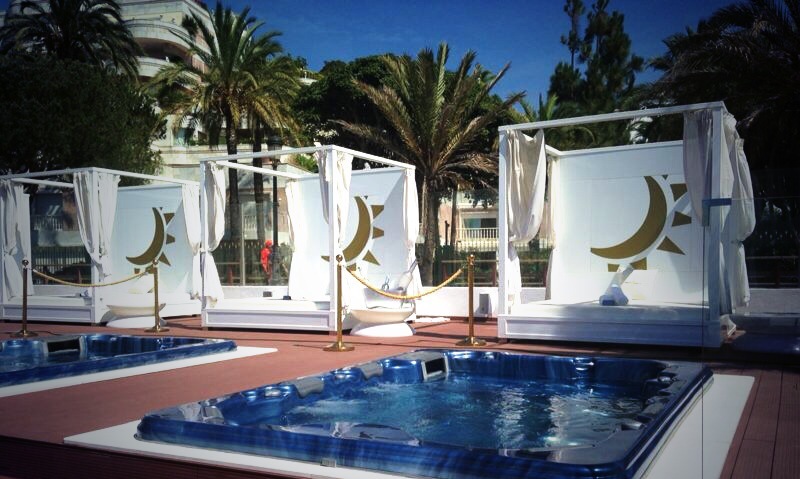 Generally, we do not want to spend on sunbed for two people just to be on a beach club for chillin. Also, we like to be on a beach club which has also seaside sunbeds, because we prefer to be near the sea rather than the pool. And also how does the parking works there? We bring our car and pay 30-40€ for parking for a day or how can it be managed more inexpensive. Hi Danny. To come to Marbella or Banus and go to a beach club in August you can’t expect it to be cheap to be honest. Parking would generally be in an underground municipal car park which might cost you 10 to 20 euros a day. Unless you are prepared to park far away on a street and walk, be careful though some street parking also carries a charge too. All of the beach clubs have events 3 or 4 days of the week which will be busy and pretty full with people partying. Check each clubs website for events as if you prefer a quieter and more chilled vibe then try to go to one of them without an event happening that day. It will still have a good vibe with music etc but won’t be a full on party atmosphere and you may find beds are cheaper on none event days too. They are all open every day through summer. La Sala by the Sea is nice as its smaller and more intimate and yes the beds are fairly reasonably priced there too, pool side or beach beds. Plaza beach also has beach side beds and as its really close to Banus harbour you ca spend the morning looking round and having unch then head to plaza beach for the afternoon sunbathing. Hi Caroline, i don’t sorry. I know of good personal trainer who also does classes for ladies. She’s very good and can come to you or you go to her gym in Elviria about 15 minutes from Marbella. The trainer’s name is Janina. 3 guys going to marbella 31st Aug to 4th of Sep.
Hi Chris. When you say Marbella, do you mean Puerto Banus or are you actually staying in Marbella? High End – La Suite bar and club in the Puente Romano hotel or Olivia Valere nightclub. Budget – If you mean Banus then you’d have to head to the second line back from the port as most places front line can be expensive. Look for offers on buying a bottle of Vodka or Gin for example an getting mixers thrown in, will generally work out cheaper than buying a round of drinks. Marbella port is much cheaper than Banus and there are load of nice bars down there on the waterfront not as high end as Banus but still a great night out. Finish up in Lemmon, it really gets going around midnight. ok thanks. I can’t really give you a full run down on a budget as I don’t know every bar in Banus and certainly don’t know what they all charge for drinks individually. 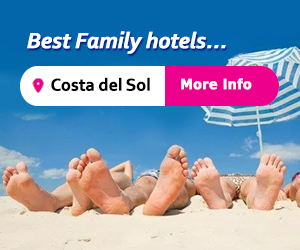 My blog covers the whole of the Costa del Sol I am not an expert in the specifics in any one particular area but here are some recommendations. Second line as mentioned is cheaper than front line bars however Sinatras on the front line however is reasonably priced and busy with a good vibe. Portside, Mombasa and Linekars a bit cheaper but can feel cheesy. The bars and restaurants in Plaza Antiono Banderas just behind the port near to the Hard Rock cafe are good. Try Route 66, great for brekkie and open all day, i think they run a happy hour 4 til 7 on food and drinks. Check out The Irish Tavern in the same square too, they also show all premiership footy if you are interested. Also Picassos pizza place run happy hour 4 til 7 generally, picasso’s is front line and pizzas are fab! Try the traditional Spanish bars too, they are mostly cheaper than the expat type bars. They might not have the same vibe but if your’e looking for budget the these might be a good shout. Hi Gaynor. Thank for sharing your story with me, I’m so sorry you had such a bad experience in Marbella, that’s really shocking and I can imagine how it left a bad feeling for you and your friends, such a lot of money you lost!!! I have heard of Marbs parties and Matteus, the company is still going but i don’t know if he is still behind it as I’ve never dealt with them personally, did you consider going t the police at all? I will certainly not be recommending them to anyone after hearing about this that’s for sure. I hope it hasn’t put you off Marbella completely as there are some reputable businesses out there. A group of us are coming to Puerto Banus on 2nd Oct for my hubbys 50th. We are staying at Gran hotel Guadalpin Banus, half board.. We have been to this area before but not for a few years & have a group of friends coming out to see us on the Friday night. We all like a party atmosphere & just wondered where you may recommend best to book a n area for drinks after dinner? Hi Vanessa. Thanks for posting this question. Astrtal cocktail bar is a great place for after dinner drinks with friends and easy walking from your hotel too. It’s fun and the cocktails are amazing. For something really special since its your husbands 50th you could take a short taxi ride to the Puente Romano hotel. The plaza there is gorgeous, bars and restaurants surrounding a pretty square within the grounds including Nobu bar and La Suite which are both fab. There’s also a really nice area in Nueva Andalucia in an area called ‘Aloha’, a 5 minute taxi ride away with some fab cocktail bars. El Jardin is very nice and Mosh fun kitchen is great to keep the birthday celebrations going on til late. Check it out. Hope this helps, enjoy planning an amazing trip and happy big birthday to your husband! 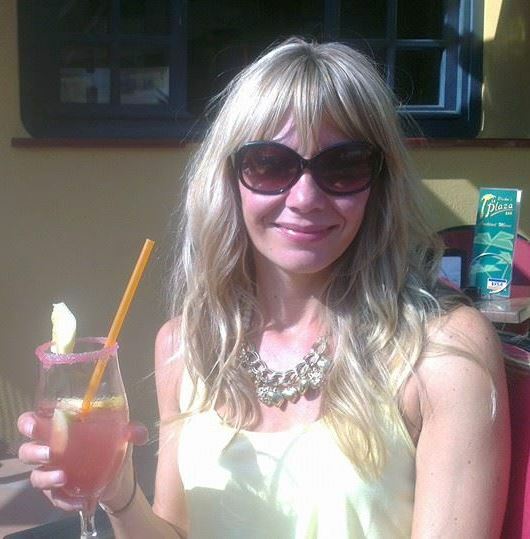 I fly out to Puerto Banus on friday 14th sept. We are a hen party of 5. Can you advise on any good pool parties/clubs for us to go to please? All of my recommendations are there in the post. La Sala by the sea, Plaza beach, Sisu pool party, Nikki beach and ocean club. There’ a new one called Opium, i haven’t been but i hear its good too. Hello Anna, I see you helping people to have a good time in Marbella. My family is planning to visit your neighborhood in August 2019. It’s our fist trip to this part of Spain ( coming all the way from Philadelphia) We are looking for a condo or hotel with all beach accommodations that would be convenient located in mid $$. We are spoiled here with the services and would like to enjoy our vacation. We are looking for a beautiful home for about 7 days. Any recommendations of yours will be helpful. Please email. hi, thanks for your comment. Marbella is buzzing in August and i sure you will love everything it has to offer. Ive put together a search for you for 7 days in August on beachfront accommodation. I wasn’t sure if you were travelling with kids or not but if you are just a party of adults the the Amare beach hotel in the list is very good, clean and modern with a good pool and beach vibe and a lovely rooftop terrace bar. Also within easy walk of the port and Marbella old town. Nobu hotel is in a fantastic location, a bit pricey but if your budget will stretch then I would stay here, you are within the fabulous Puente Romana hotel which you should also check out even if you don’t stay there. They have a fantastic choice of restaurants and bars for a lovely evening. If you have kids with you then the Hotel Fuerte is child friendly, great location, beach front and very spacious with nice grounds. My sister and I are going to be in Marbella on the 7th and 8th March. It’s her birthday on the 7th and I wanted to do something fun. Most beach clubs do not open until April, any that you know of would be open with a party scene ? Or would you suggest we do a nightclub instead? If yes, which would be your best pick? We both love music, dancing and appreciate good drinks! hi. Nice way to spend your sister’s birthday, Marbella is a great choice. You are going to struggle for a beach club or pool club early March to be honest however there are still loads of places open for nice cocktails and evenings dancing. Im wondering if you are staying in Banus or Marbella?? Assuming it’s Marbella then Mahiki beach is open all year round i believe, nice for sun beds or lunch with cocktails also. Check out their website for any events coming up. Also open is The Boardwalk in Marbella, lovely setting on the paseo and good for cocktail making classes if you wanted to book something fun to do during the day. 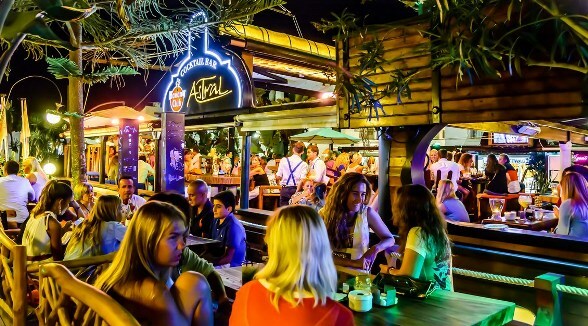 Also the bars in Marbella port are always open, wander round to the front of the port and you’ll see Lemmon, its really buzzing at night but not until after midnight so make sure you get a siesta in for a late night partying. For something really special i would head to the Puente Romano hotel on the Friday night and have a meal or drink in Nobu restaurant and then stick around for La Suite, a really cool club which opens at midnight. The plaza at the puente hotel has loads of bars all around it and hopefully will be fairly busy on the friday night. Hi Anna! We are coming to Puerto Banus and ended up just booking in 2 HEDO villas in Puerto Banus. We are coming Sunday May 26th until Thursday May 30th. We have a boat booked for Tuesday, but still trying to figure out what our plan should be for Monday and Wednesday. Will bars be open on Wednesday night? This is a hen do, so i’m trying to plan a bar crawl for that night and just worried things won’t be open. Any suggestions? We were also thinking of maybe a wine/tapas/bike tour. Would appreciate you’re help! hi. Bars will be open yes, but some may close on Mondays its best to check their individual websites (links are in the post for the main clubs/bars) to see what events they are advertising and any days they close so you are not disappointed. Most bike and wine tours take place in Malaga not really Marbella to my knowledge. Princess studios is a good option for something a little different, you get tuition for an hour with drinks and you can choose you own style of dance. Otherwise try the boardwalk in Marbella or hard rock cafe in Banus for cocktail making classes. Hi Anna! Is it safe to swim in the ocean there? Hi, it’s the Mediterranean Sea and yes it’s very safe to swim, just watch out for jelly fish. There are usually lifeguards patrolling and flags warning you if there are jellyfish around. Hey Anna. I’m coming out to Puerto Banus on 2nd May for 4 nights for a hen do. There are 12 girls in our 30s and 40s. We are coming out from Thurs yo Monday. Where can we go for 80s/90s/ r n b music? You are best to contact the bars and clubs directly or look on their events pages for music types and different party nights. They can change nightly for example Pangea may have a Sintilate night on a Friday ad r&b Saturday. Also you might want to consider booking for table service since there are 12 of you. Also try Seven on the second line and Habanas, always a fun night here. I am currently in the process of arranging a friends hen do and have Puerto Banus on the shortlist. She is wanting to do a themed fancy dress night so I was wondering if you are aware if this dress code is acceptable? I have seen many people in fancy dress in Puerto Banus, both men and women out for day time drinks and n a night on the port. I would think most places are absolutely fine with it unless you are going to one of the really up-scale clubs like La Suite or Olivia Valere. Great page by the way, thank you for the informative read. My friend and I are hoping to fly out this coming Friday for the bank hols Easter weekend and wondered whether it would be worth it? Is much still happening? / Weather doesn’t look the best on google weather, is it true to this at the minute? We’re 26 and 27, love a good party, drink and socialise so up for the nightlifte, great scenery and good food – so any suggestions on where to go (if any pool parties are on/ nightclubs).. as well as where is good to stay.. Guessing Marbella.. We was looking at Alanda Hotel Marbella as many of the better hotels (Sisu, Nobu) are coming up realllllll expensive lol. hi Jourdan. I’m really sorry for not replying in time to your message. I’ve been away on holiday and didn’t pick up any messages. I hope you had a great weekend partying wherever you ended up. Hey Anna, me and a group of my friends are planning on going to Puerto Banus in early July to celebrate the end of our A-Levels. We are all 18 and worried that we may be the only young ones in the bars and clubs. Do you know bout any venues that tend to have younger crowds? Don’t worry you will definitely be among other people your age. July is buzzing around the port and full of groups like yourselves celebrating something or just out for a god time with friends. The bars on the second line tend to attract younger people like Bijoux which has a great outdoor terrace and also Linekars just a few doors down. Both can arrange VIP areas or special occasion packages if you contact them ahead of time. You’ll have a fab time, it’s a real party place. For daytime partying head to Ocean Club, check their website for events and special party days. Also Plaza Beach club, a bit cheaper for beds, drinks etc than ocean club generally and somewhere you can go every day to chill on the beach where you’ll be with a young crowd. Have a look at the Park Plaza suites for your accommodation, the location is fantastic, right on the port so you ca walk to everything. Also they do rooms for up to 6 adults too so its a good way to spread the cost. Hope that helps…please consider booking through my ink for your accommodation if you haven’t done already. Have a great time!! !